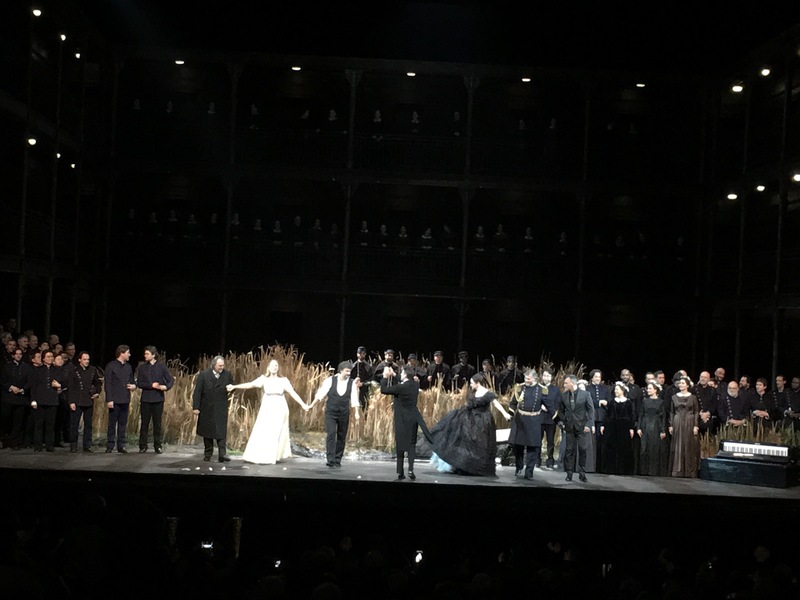 The long awaited and triumphal coming-back prima happened a few days ago, thus all of us gathering for the second performance of Lohengrin in Opera Bastille were throbbing impatiently in presentiment. In the adrenaline rush just a day before the sacred date I have logged onto Opera de Paris web page and sourced another ticket, to upgrade myself from Category 7 to Category 1. So, probably this action counts towards a classification of becoming part of “kaufmaniacs”? 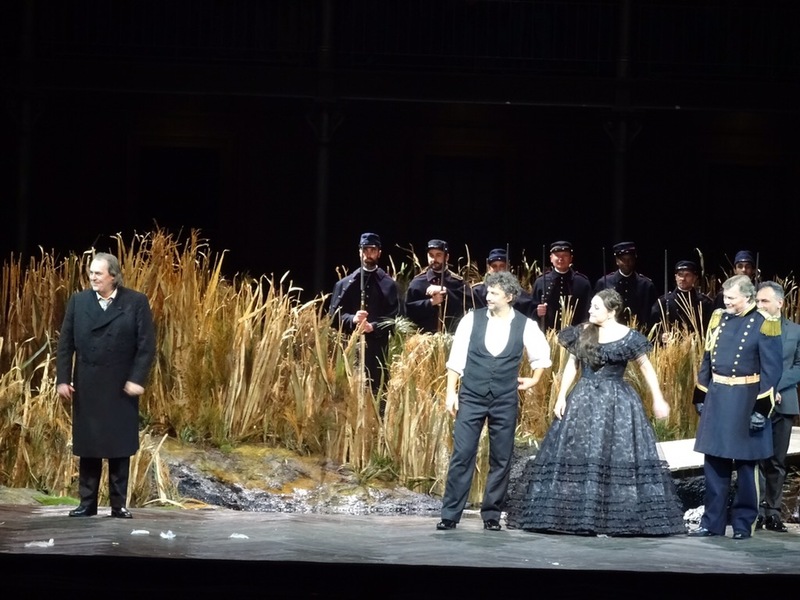 Nevertheless, the happy and excited crowds at the theatre were here for the same purpose: to witness triumphal return of the most sought-after tenor of our time in one of the landmark roles of his repertoire. And he delivered above all expectations. Repeatedly it was this mesmerising feeling when you feel holding your breath together with most of the people in that huge auditorium, and then bursting the emotions at the end of the act in rapturous applause. The ovation at the end of performance was loud, enthusiastic, a lot of “bravo”s, people standing and calling the performers for repeat curtain calls. Certainly, it could not have been possible without excellent teamwork perfectly executed on well- proven and admired production, which certainly has received additional reinforcement of important details to convey the story of fragility and humanity of the genius on the mission which seems confusing and unjustified even for the hero himself. The stage direction, sets and lighting creates well-balanced even if minimalistic background to the storytelling of main protagonists. 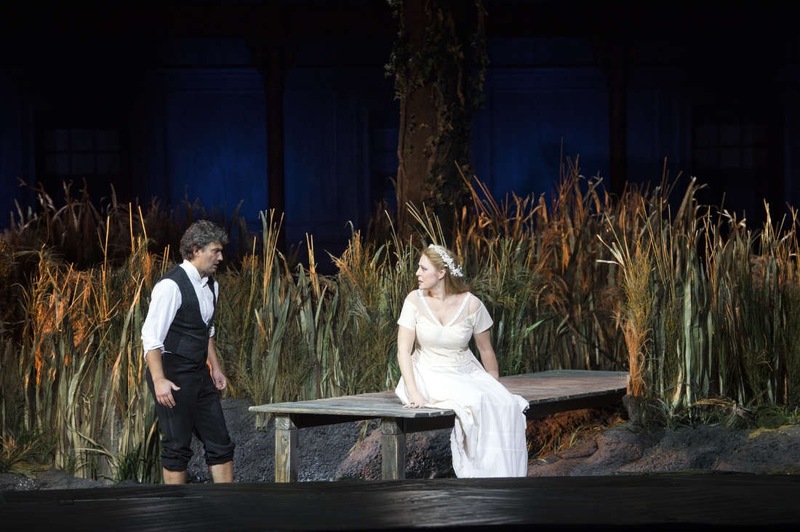 Even the transposition of the story from original time of the libretto, where medieval legends and mystery would justify most of the actions, to the period of the “Lohengrin” creation, when different socio-economic challenges were faced and romanticism flourished, did not pose additional questions. On the critical note, I have noticed some typical approach used by Guth which might even be classified as clichè: depicting fragility as fetus positioned, barefoot, throbbing, twithcing feet like in his Salzburg “Fidelio” picture came to my mind briefly as deja-vu. From stage direction perspective a few more question marks linger where actions are difficult to read and interpret thus feels like there is no sound argumentation behind them. As example, still did not get all the wet part in the pond, except great additional light effects projected to the walls which were probably missed by audience up in the balconies. All of the performers are great singing actors, without any doubt. 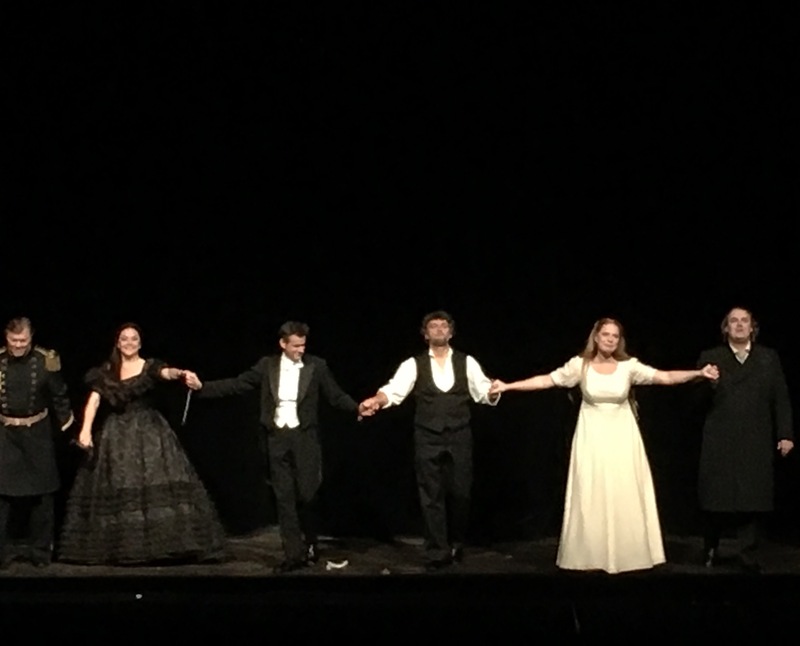 Last night the most impressive performance was delivered by Evelyn Herlitzius as she lived through evil and scheming heroine Ortrud both vocally and dramatically, and her counterpart Wolfgang Koch as Friedrich von Telramund kept up with her superbly. Heinrich der Vogler, the King interpreted by René Pape delivered his role royally, his bass from velvety to thunderous, the posture and looks well suited for the role. 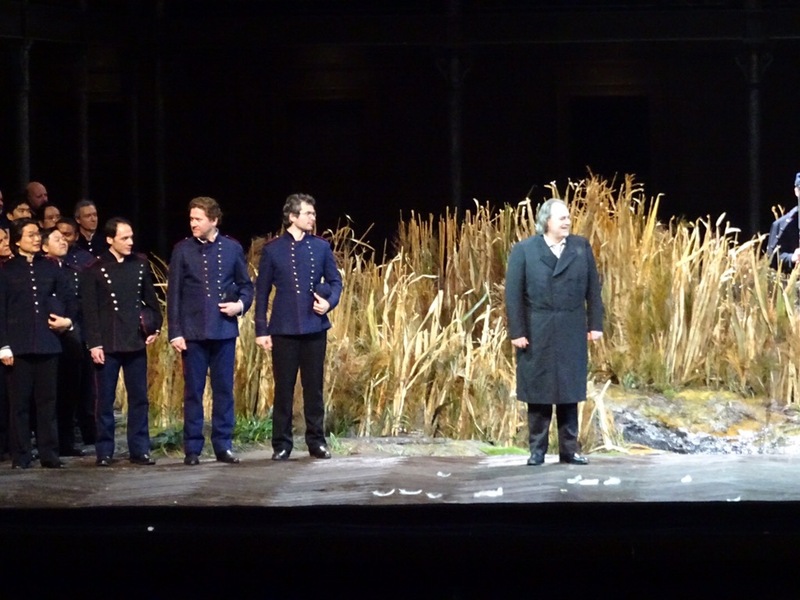 His Heerrufer Egils Siliņš sung confidently and with required authority in the voice. Martina Serafin as Elsa von Brabant portrayed detailed evolution of her protagonist, and told us convincingly the story of value and price of trust – unconditional and broken. 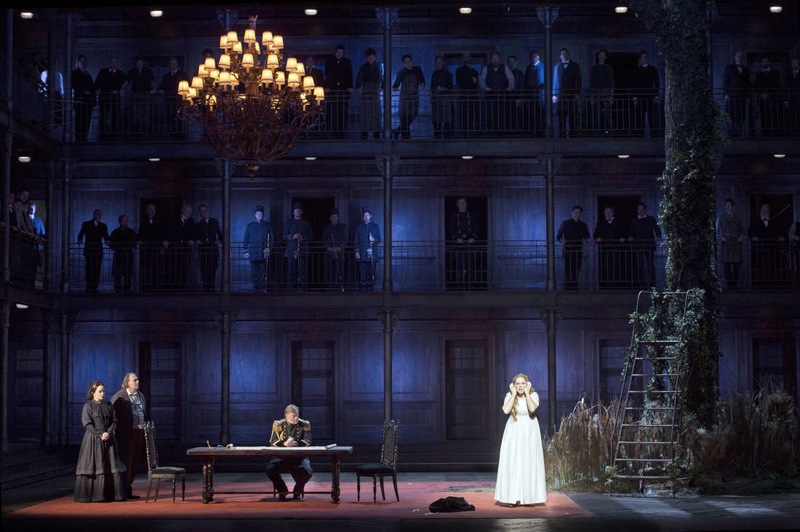 Her vocal performance flourished in the Act 2, especially in the scene with Ortrud planting seeds of doubt. 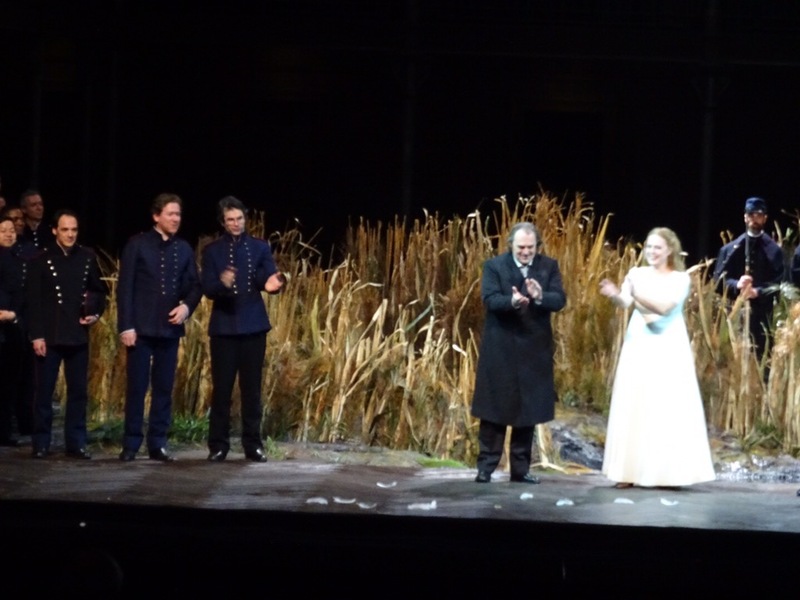 The main hero of the night undoubtedly was Jonas Kaufmann as Lohengrin, and he proved that he is back in the most glorious form, singing the role with so deeply felt, embedded emotion, that it is difficult to explain, you have to listen to his key arias – either pianissimo of “Nun sei bedankt, mein lieber Schwan!” or heartfelt “In fernem land”. Some recordings of the night are already on YouTube. 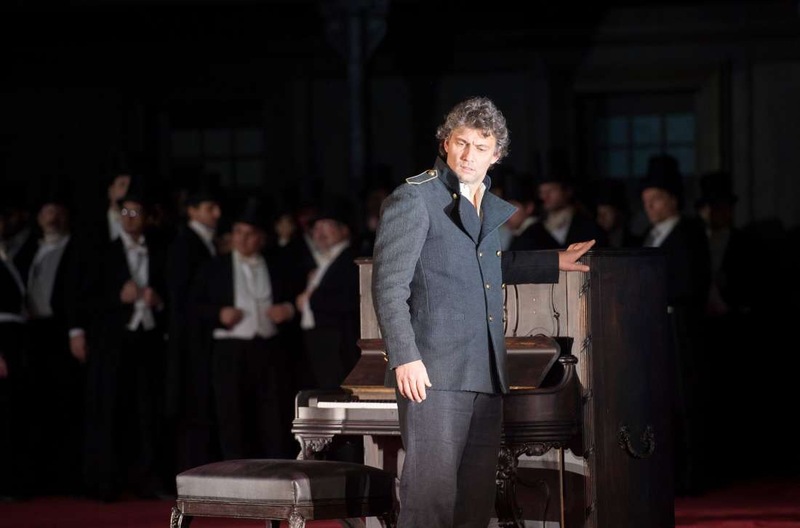 The role fits Kaufmann organically, and he also lives through the emotional transformation of his character. What actually made significant difference was outstanding conducting of the orchestra by Philippe Jordan. He led orchestra superbly, creating great ensemble and providing support to the singers. Especially worth to point to seperately playing brass groups delivering from the set and so well balanced and in line with the whole orchestra. 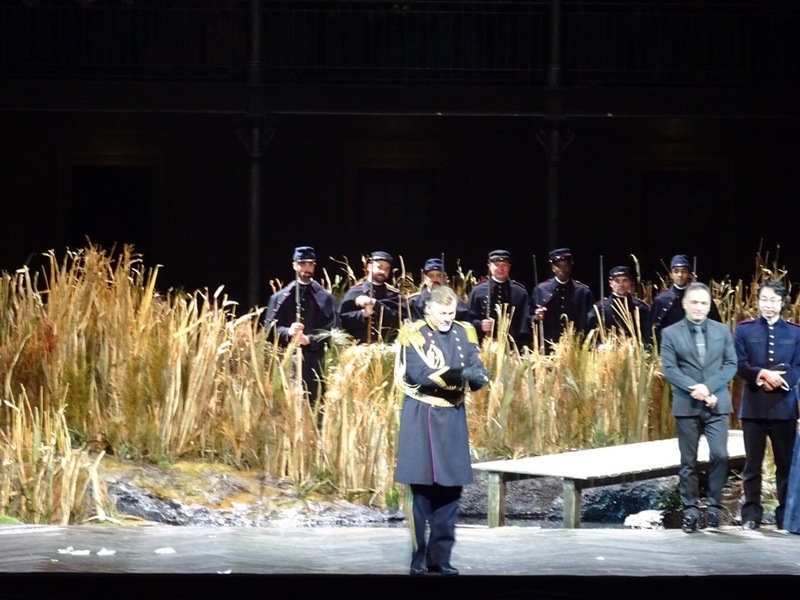 Tenderness, fragility, heroism , – all main themes touched by Wagner were clearly here with agile tempi. The ensemble was completed by outstanding chorus, their performance of the night was remarkable. There are still a few performances left, and if you are lucky, the chance to grab last minute ticket on ONP site ot Ticket Exchange is still possible. 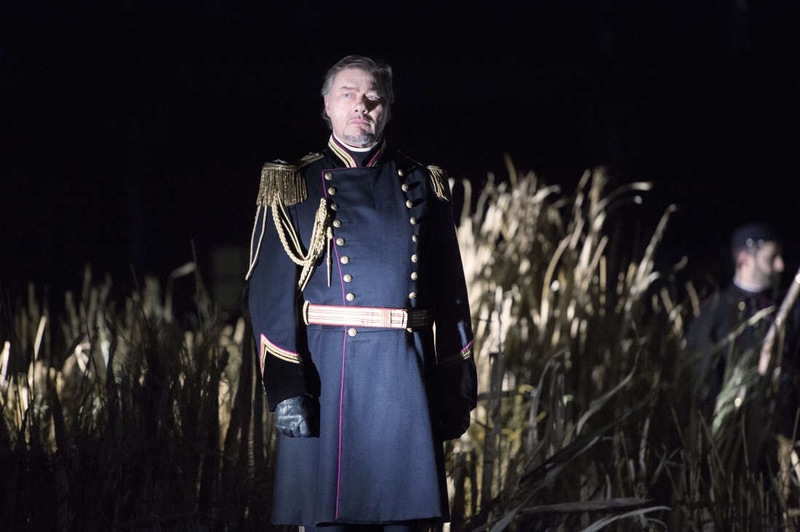 February performances will star Stuart Skelton as Lohengrin, which also is very tempting proposition, – his jump-in in “Die Walküre” last summer in Baden-Baden was one of the best suprises in my opera season. Exploration expedition still ongoing! Very good to hear that Jonas is back at full speed. I can’t wait to hear him, I have a ticket for Andrea Chenier in Munich! Lucky you for Andre Chenier – I got negative answer from BSO on my alternative dates. Still hope left for Festspiele request.. I managed by phone, but it was a nightmare to get through.